My selection is a blend of 45 different well matured cognacs handpicked from Master Blender Richard Braastad’s private cellars. 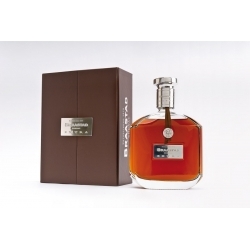 Gentle maturation over many years, and combining the fruity flavors of young elements with the maturity and richness of the older elements, gives this cognac perfect balance. My selection was in 2013 awarded with Gold Medal in International Wine and Spirit Competition in London for its excellent taste. Nose : Floral, combined with matured notes of tobacco and leather. Mouth : Taste of liquorice and anise,baked apple and honey. Aftertaste : Perfect balanced, creamy texture and long pleasant aftertaste. Braastad XO Fine Champagne has an average storage period of 15 – 20 years. 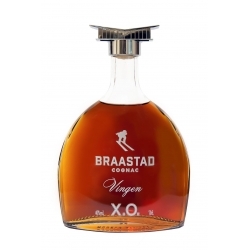 Braastad XO has a well-developed, rounded, complex aroma of fresh fruit, with vanilla and violet tones and a touch of tanginess. 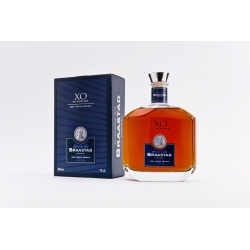 XO Superior Braastad : the result is a cognac that is very rich and powerful, yet harmonic and balanced. 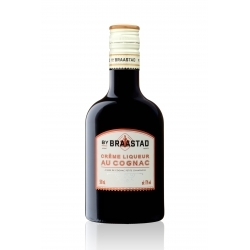 This cognac is the latest pride of the Braastad family. 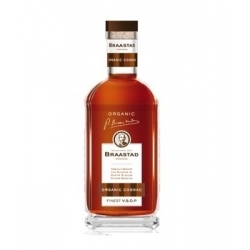 Its unique blend embodying the true essence and "savoir-faire" of the Master Blender Richard Braastad.